Schisandra berry tea is a product that hails from China. Schisandra berries were discovered by the Chinese to have a variety of health benefits that made this tea an ideal product for medicinal treatments and preventative care. Schisandra tea has been used for centuries by the Chinese to treat ailments that affect the blood, kidneys, liver and lungs. Though scientific studies are continually being performed on the amazing benefits of schisandra berries, it seems that the ancient healers in China knew all along how powerful this little berry could be. Even Chinese emperors have prized the powers of this naturally healing berry. One of the most prized and frequently reported effects of schisandra berry tea is the ability of this drink to heal liver ailments. This tea is used in traditional Chinese medicine to increase bile production in the liver. This helps to cleanse the liver and prevent cirrhosis of the liver. Practitioners of traditional Chinese medicine also believe that schisandra berry tea can help prevent liver Cancer and protect the liver from chemicals like carbon tetrachloride. 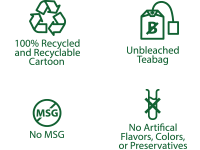 This tea has a natural balancing effect throughout the body that helps the patient to function better and feel healthier in a variety of ways. Long before scientific methods could explain exactly how and why schisandra berry tea is so effective that it was prized as a treatment for fatigue and the natural effects of aging. 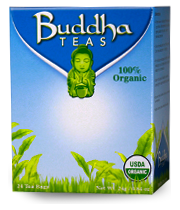 This tea does, indeed, improve stamina and mental clarity. These effects may have led Chinese women in ancient times to believe that the tea was literally staving off aging. 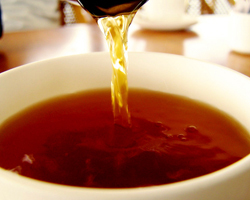 After drinking the tea, individuals would feel less stressed, more active and better able to focus on the task at hand. Schisandra berry tea is believed to provide youthful sexual stamina as well. Drinking this tea can, indeed, give individuals a surge of youthfulness. In China, both men and women drink schisandra tea for its purported aphrodisiac quality. Women also use the tea to help preserve their beauty. As an added benefit, Schisandra tea is believed to be an effective treatment for stress and depression. This tea helps the body to deal with the physical effects of too much stress that can often make a person sick. Schisandra berry tea is also a mild sedative that produces a calming effect in particularly stressful situations. 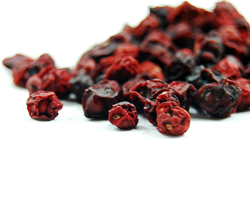 Schisandra tea and dried schisandra berries are still sold in China today. Specialty markets in America offer these products as well.